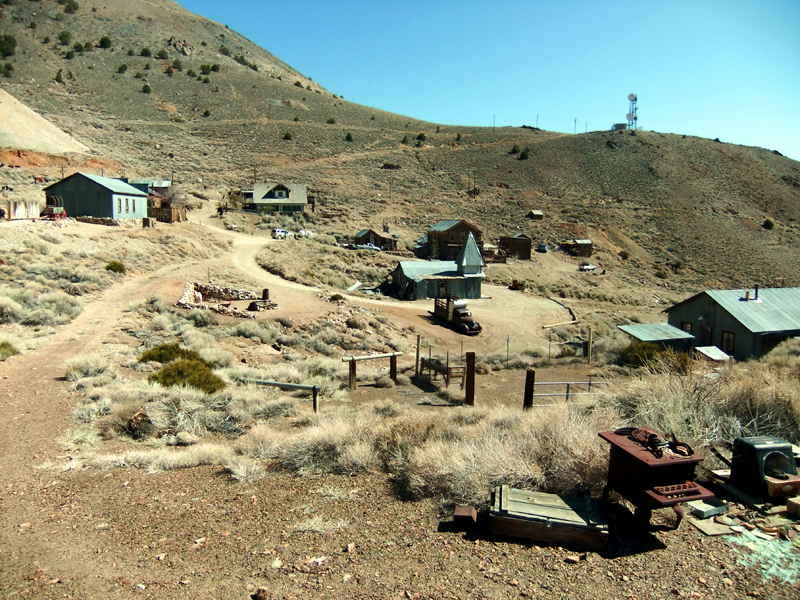 April 21, 2013  Overview of the Cerro Gordo mining camp, looking southeast from the structure identified on this map as #9, a possible assay office. The front of the bunkhouse is at center-right. LW2373c: 9600 dpi jpeg from digital image by Leon Worden.